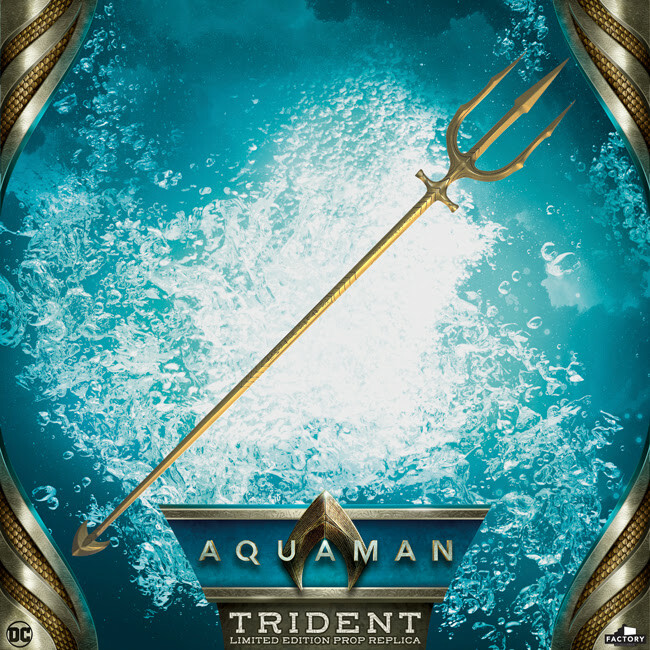 A high quality, officially licensed replica of the Trident prop used by Aquaman in the highly anticipated Warner Bros. / DC motion picture. 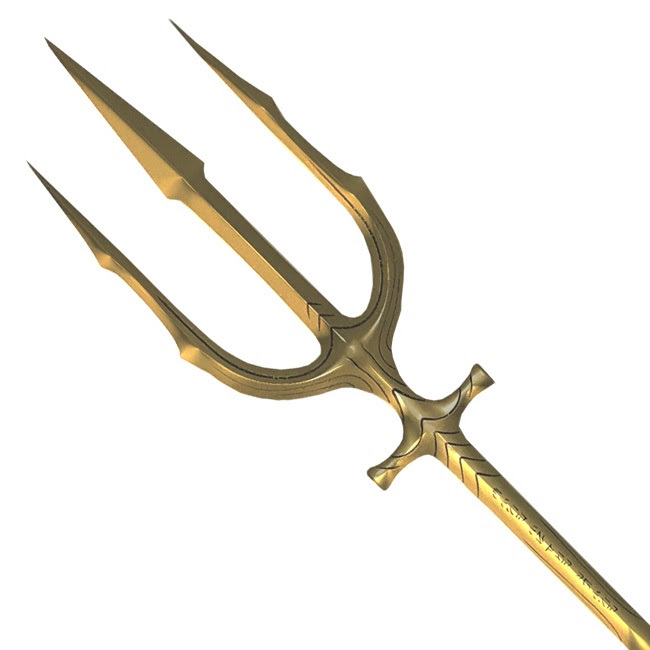 This is the hero version of the prop, the search for which is a primary story line. 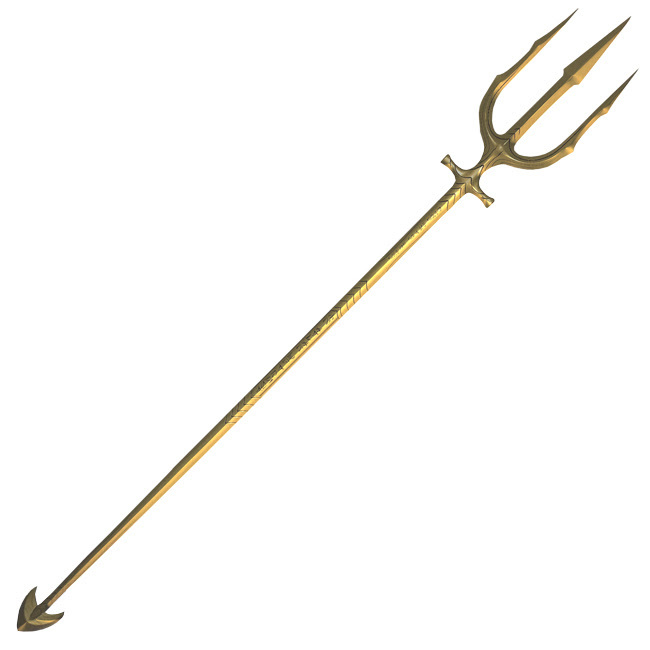 Copied directly from the original prop with exacting attention to detail, this stunning 72-inch heavy duty replica is moulded out of solid metal and features Atlantean script on the shaft as seen in the film. Each replica comes in 3 sections which are easily assembled via an integrated threaded mechanism. Each replica includes a display plaque and a certificate of authenticity. Limited edition size to be determined. *Prototype shown. Not final. Subject to licensor approval.